The best thing about The Row's 'Coco' mules is that they can make any outfit look chic, from tailoring to your favorite jeans-and-tee combo. 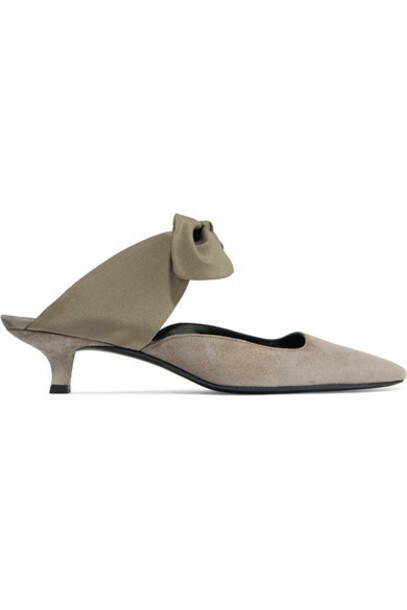 Updated this season in stone suede, this pair has elegant pointed toes and low kitten heels. Adjust the army-green satin bows so they fit perfectly.